I just posted about Minecraft Skin Studio Encore, but I have even more exciting news to share. Design a festive skin using the app and you’ll be in with a chance of winning an Xbox One! 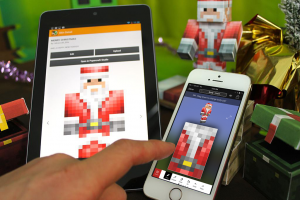 Submit a festive skin to Minecraft: Skin Studio Encore between December 22nd and January 5th. Include #xmas in the title! Don’t forget to include #xmas in the title of your skin. That part is super important! The more festive the skin, the better! Santas, Snowmen, Elves, Mince Pies, the lot. All users can “Like” their favourite festive skin. Whoever gets the most likes by the 5th of January wins. The winner of the competition gets an Xbox One and Minecraft: Xbox One Edition! Nice! Terms & conditions and the full entry details will be available in-app. Good luck everyone! Get creative and have a great holiday season! 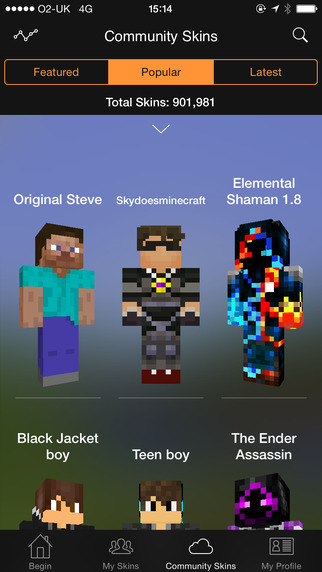 Minecraft Skin Studio Encore now available! 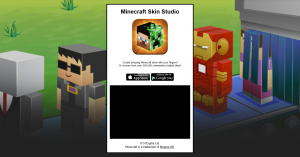 To celebrate two years of skin sharing, Minecraft Skin Studio has been completely redesigned! Since the release of Skin Studio over 900,000 skins have been created, almost 3,000,000 comments written, and over 2,500,000 likes cast. Not too shabby. A lot has changed in Minecraft since then too, so rather than patch the older version, the good people at 57digital have remade their app from the ground up. 3D Previews everywhere – including while editing your skin! The ability to submit your own creation to the community or download & modify! Upload your skin to minecraft.net and change your skin for PC/Mac. A trial version of Skin Studio is also available. Skin Studio Lite gives you the chance to design a full Minecraft Skin, but with slightly limited tools. It’s also worth pointing out that Skin Studio Pro users get the Encore upgrade for free! Just go to the updates tab on the app store. Don’t forget about 57digital’s other apps too! Minecraft Papercraft Studio and Minecraft Skin Scanner are also pretty cool! 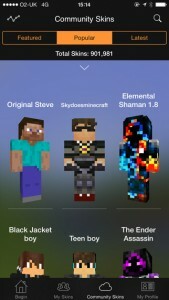 You are currently browsing the SkinEditor category at minecraft.